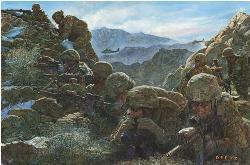 The Sangin River Valley is commonly referred to by British Soldiers serving in Southern Afghanistan as The Heart of Darkness. 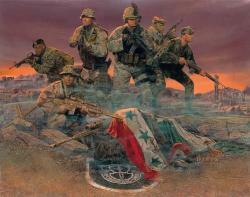 In early 2007 Sangin, situated on the Helmand River, was the world’’s poppy capital and a vital Taliban stronghold. 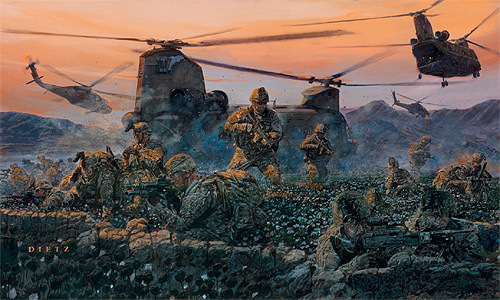 Given the Taliban’’s reliance on poppy to fund their fighters, control of Sangin was vital for the Taliban’’s survival and consequently would be fiercely defended. 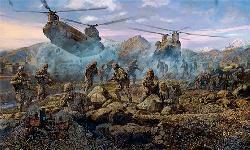 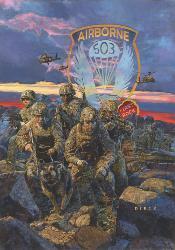 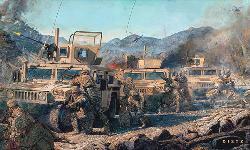 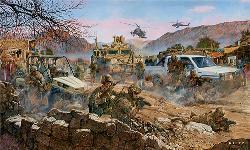 April 2007, Task Force 1 Fury (1-508th PIR of the 82nd Airborne Division) while serving as the Theater Tactical Force (TTF) was called upon to clear the enemy from the town of Sangin in order to liberate two British forward operating bases that were under siege. 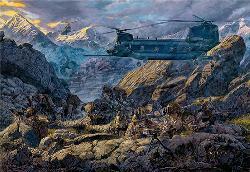 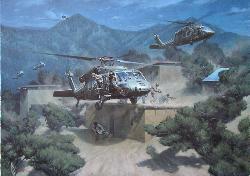 Operation FURIOUS PURSUIT was planned to seize key terrain, remove the Taliban and provide lasting security to Sangin. 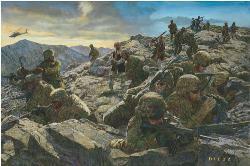 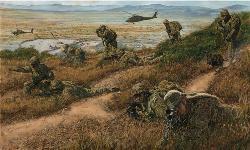 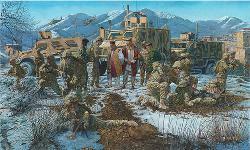 In addition to Task Force 1 Fury, a Coalition Task Force was organized which included over 1200 British, Estonian, Dutch, and Canadian forces as well as Afghanistan National Army and US Special Operations Forces. 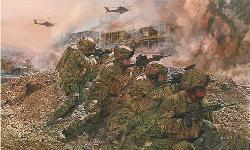 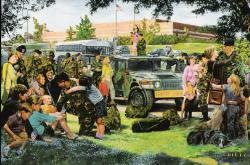 Image Size: 15" x 25" Overall Size: 21.5" x 31"